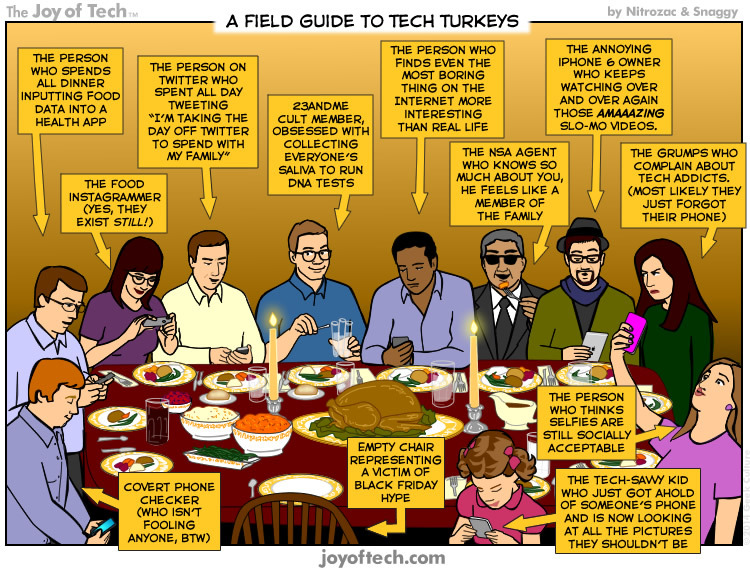 The Joy of Tech comic… Tech Turkeys! The family member with the exact opposite political views as you, just brought up politics. The person who says they're not racist just said something super racist. Most or all of the above, plus I had a horrible sleep. This checklist made me just want to stay at home and cocoon this year. You're kidding right? I LOVE Thanksgiving! Serenak likes the Spotify Duet, and polls if there's an RSS feed for this... TheMoMan blows up about Air bags, ... dragonman says Yes we should! and The Famous Druid thinks I'm gonna get crabs this Xmas! 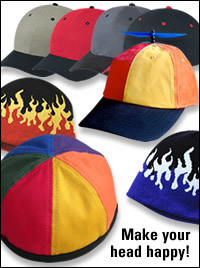 We've been making comics on the web since early 1999, and The Joy of Tech is now in its 12th year. We're very proud to be featured regularly on places like re/code!